Hello, my name is Yasuhiko. I live in Osaka, the second largest city in Japan. I am an office worker and work for a financial company. I like my job. I am interested in meeting new people. Let's enjoy our time together. 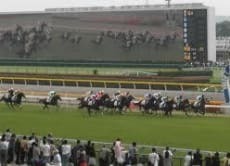 I will show you how fun Japanese horse racing is.